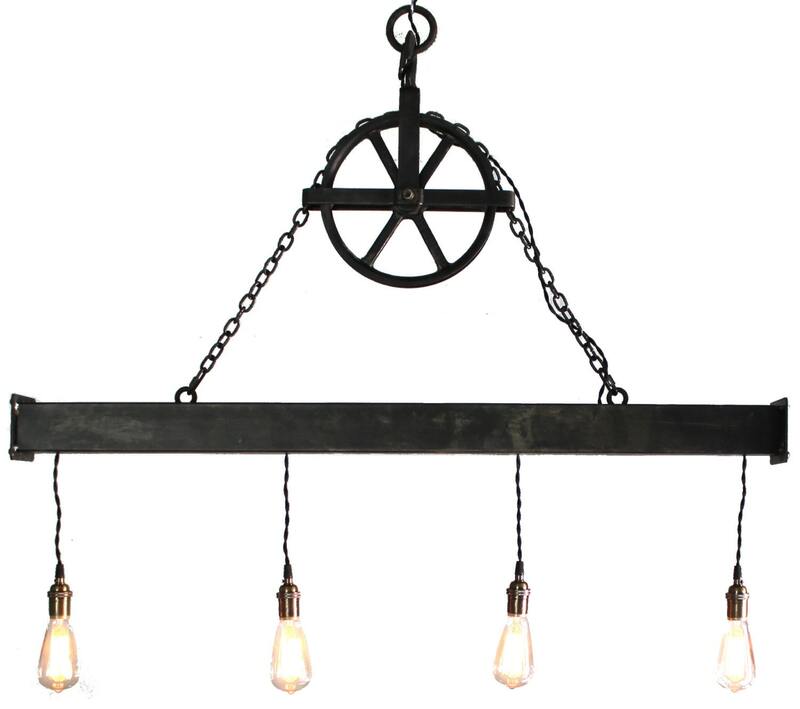 A true statement piece, this handcrafted fixture combines the industrial components of an aged pulley with a steel beam and adds an impressive presence to your dining space. Fixture fashioned from 3" steel beam and hangs from an aged well pulley and black chain. 4 lights hang from the beam via black twisted cloth cord. Handcrafted Buckeye Burl bare bulb Chandelier dinning room chandelier Industrial edison FREE SHIPPING one of a kind bulbs included.